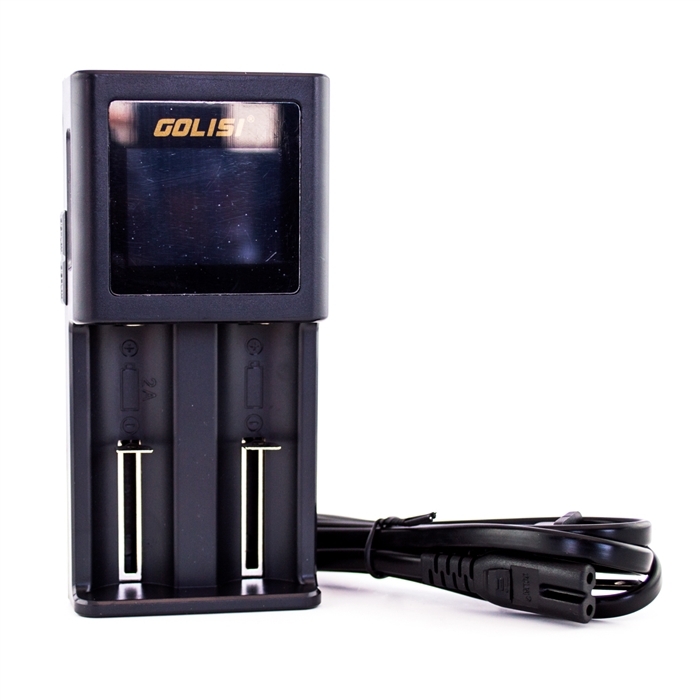 Golisi S2 dual slot charger, compatible with not just 20700, 26650, 18650 Li-ion batteries(not include), but also cylindrical rechargeable batteries. 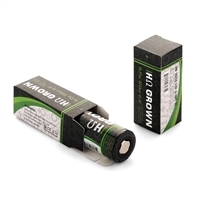 To be specific, 3.6/3.7 V Li-ion batteries 21700 18500 18350 18490 18350 RCR123 and Ni-mh/Ni-cd batteries (AAAA, AAA, AA, A, SC, C). 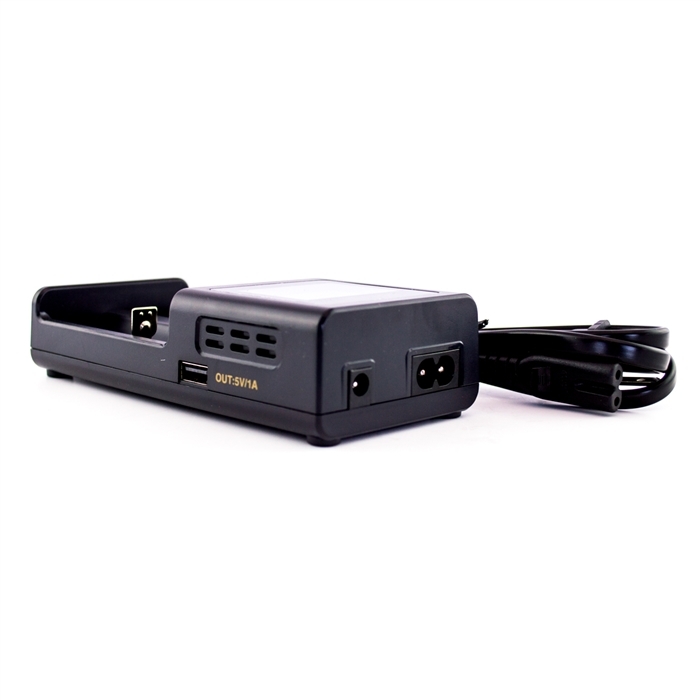 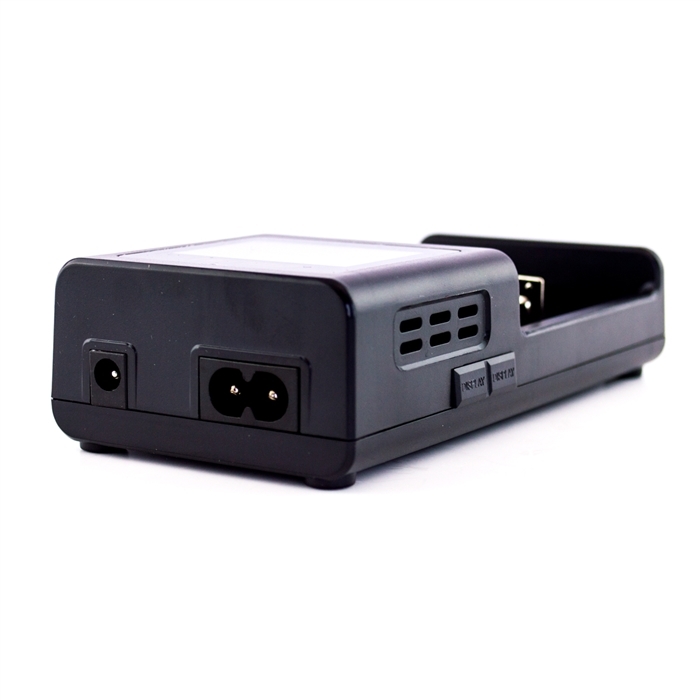 Integrated LCD panel clearly displays charging parameters and process (Battery type, voltage, time, charging percentage, charging capacity, auto-alert indication for worse battery cell). 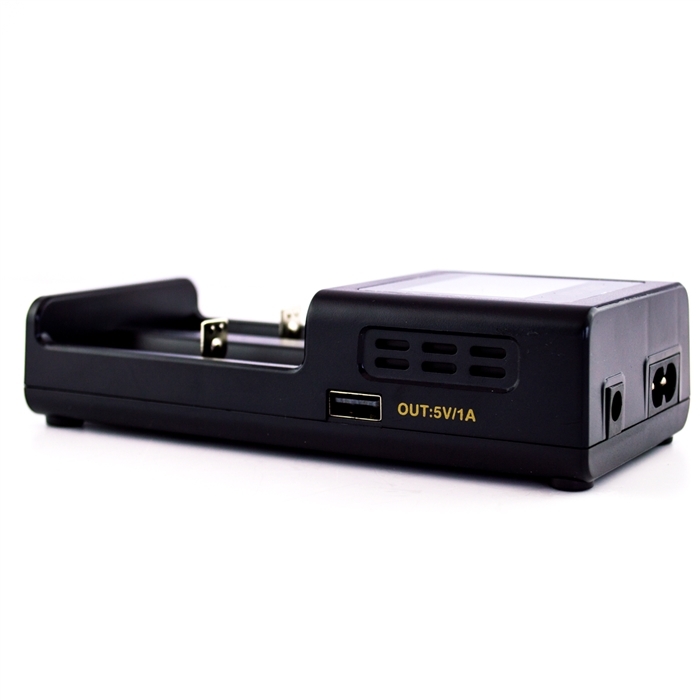 Smart features such as reverse protection, precision end-of-charge voltage detection, and over-charging timeout protection. 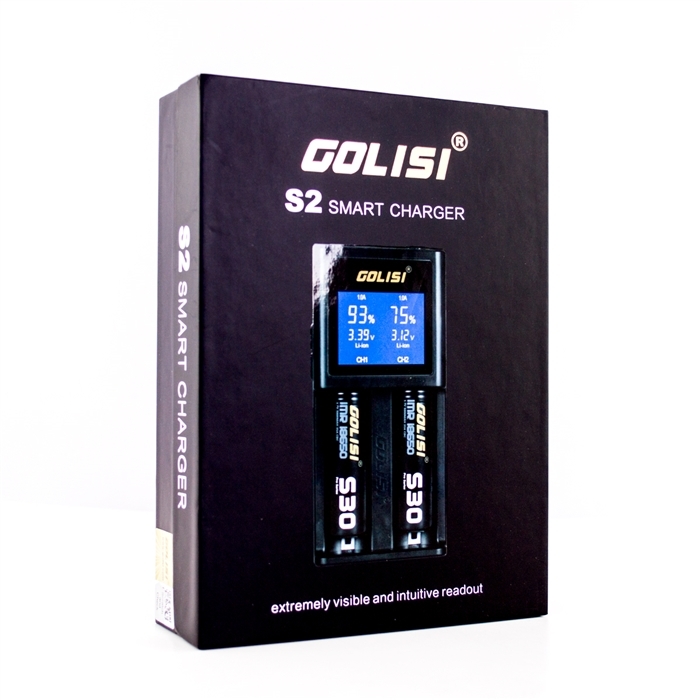 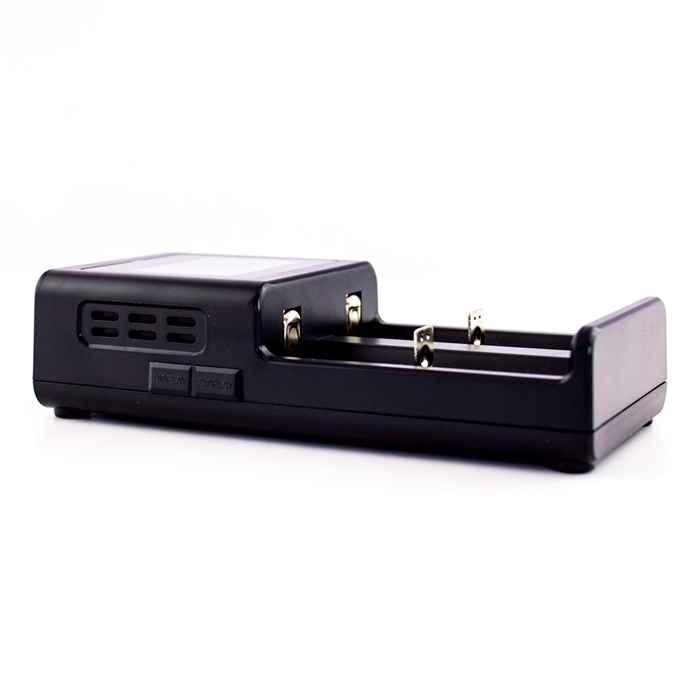 Golisi S2 can detect different battery types and smartly allocate current and voltage accordingly. In other words, it can charge different batteries at the same time.